(As I certainly have,) Ancient Origins has a great, short article on the history and construction development of Venice. How did they ever manage to build such magnificent architecture seemingly floating upon the waterways? The secret is petrified toothpicks. Well, not really toothpicks, but not far from it. Many of the buildings sit upon wooden platforms supported by wooden stakes driven into the ground below the water line . The surrounding salt water and lack of oxygen beneath the surface of the water works to petrify the wood, effectively turning it to into stone. Ingenious! I wonder if early builders were aware of this magical chemical transformation or whether they simply lucked in? 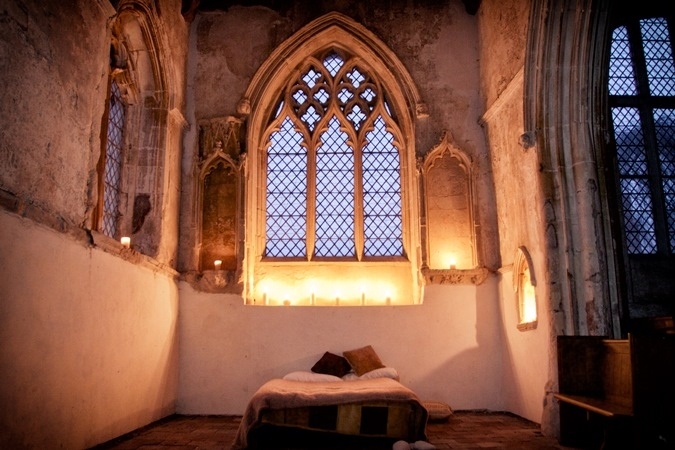 How about an overnight in a 16th century English country church? The Churches Conservation Trust in England is a national charity protecting and preserving historical architecture. 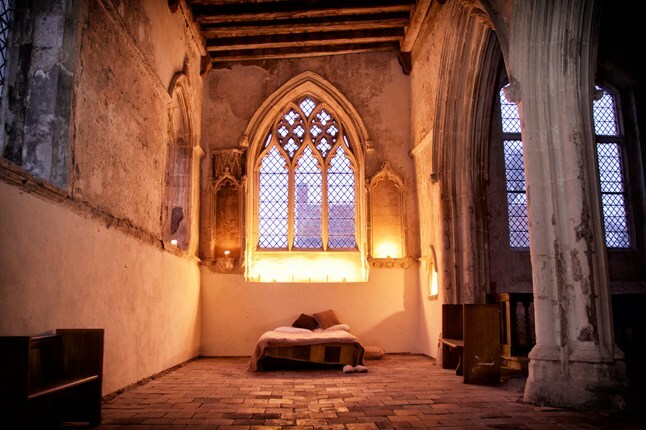 You can spend a night beneath a medieval window or in an intricately carved stone ‘tomb’, believed to be a Norman shrine to St Augustine for about 60 pounds a night, including breakfast. Sigh. More info here.